Google has recently updated its App Indexing project, which links mobile search results to invitations to download mobile apps relevant to the search query. The update takes the number of deep links to more than 30bn, a figure Google has just shared for the first time. The App Indexing project was introduced in 2013 to unearth quality content ‘hidden’ from search engines, allowing them to index content and link to search pages. Users now no longer need to have particular apps installed; the update will allow them to discover relevant content within apps not already on their device. App content is also being highlighted in Google Now Cards. Google’s mobile search results page will essentially become a device for discovering mobile apps, encouraging an already-busy market. Rajan Patel, a Principal Engineer in the App Indexing update team at Google, highlighted the need for creating ‘great content (and) deep links into that content’ so that it could be directly accessed. Mobile apps are an increasingly-important way to interact with your customers as well as maintaining a high profile online. Product Manager for Google, Lawrence Chang, said: “We are starting to use App Indexing as a ranking signal for all users on Android”. 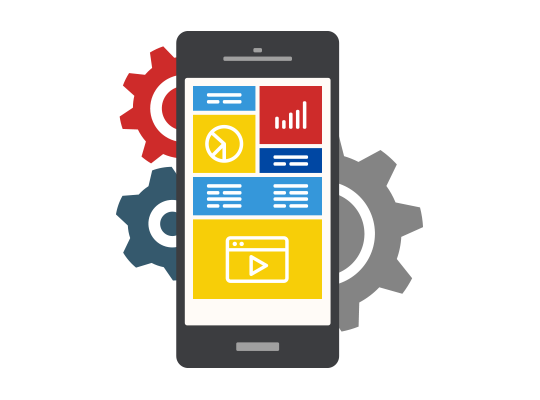 Brick technology offer a creative, comprehensive mobile app development service to provide a bespoke design supported by all major platforms including Android, iPhone and WIndows Mobile. Brick technology Mobile App Development - built by the best.